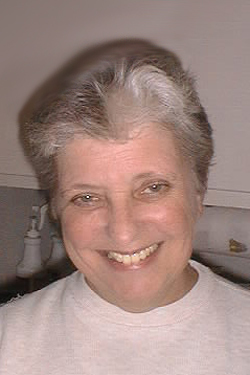 WHEREAS, in these and other efforts, Lois Yoakam has worked diligently to accurately disseminate information from the government and residents of the Village to the entire population of the Village of Riverlea in a timely and efficient manner, all with a remarkable spirit of collegial professionalism, and has thereby exemplified the ideal of public service. Section 1. On behalf of the citizens of the Village of Riverlea, Ohio, the Village Council hereby offers its gratitude, appreciation and thanks to Lois Yoakam for her numerous years of service as the Newletter Editor of the Village of Riverlea and for her dedication and efforts on behalf of the residents of the community. Section 2. On behalf of the citizens of the Village of Riverlea, Ohio, the Village Council hereby declares May 15, 2014 as Lois Yoakam Day in the Village of Riverlea. Section 4. EMERGENCY. That this Resolution is declared to be an emergency measure, effective upon passage, and immediately necessary for the preservation of the health, peace, safety and welfare of the residents of the Village of Riverlea. Such emergency exists in that the residents of the Village need such services immediately, and such services could not be obtained from the Columbus City Attorney’s Office, but for the immediate effectiveness of this Resolution. Accordingly, this Resolution shall be in full force and effect from and after the earliest date permitted by law after its passage. Passed this 21st day of April, 2014. I hereby certify that on the 21st day of April 2014, I posted a copy of the above Resolution in each ofthe five places heretofore designatJd by Council as the most public places in the Village ofRiverlea and that the same remained there posted continuously for fifteen (15) days.